The TGV station at Belfort-Montbéliard in the district of Meroux, to the south-east of Belfort, is one of two new stations on the high-speed LGV Rhine–Rhône rail route. As well as connecting to Belfort, it also links with Montbéliard and the Swiss canton of Jura. 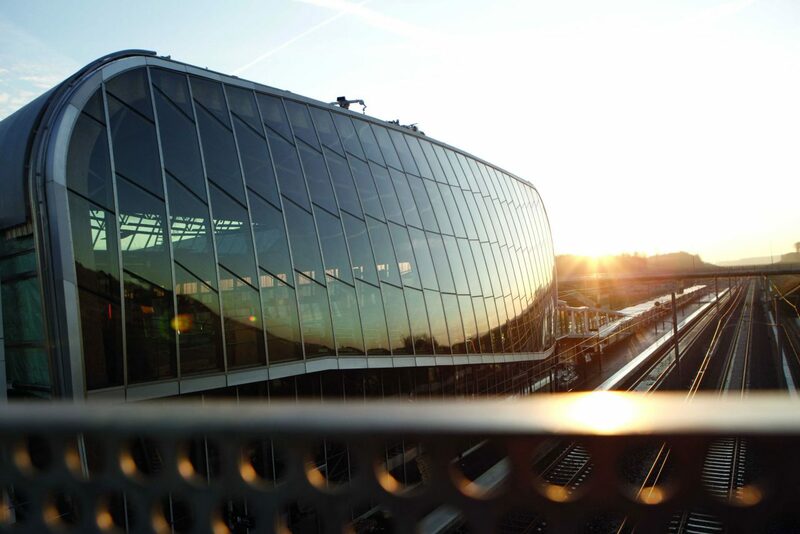 The station building features a distinctive extended trapezoid form and a cantilevered roof above the main entrance on the southern side, and has a generously proportioned passenger terminal that extends out to the central platform. 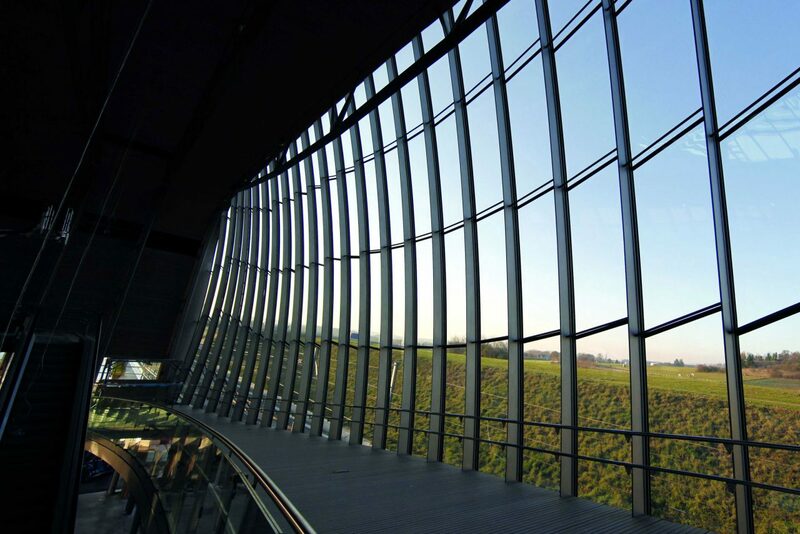 The station is intended to express a synthesis between engineering and nature, and the station hall affords a clear panoramic view of the Vosges mountains. 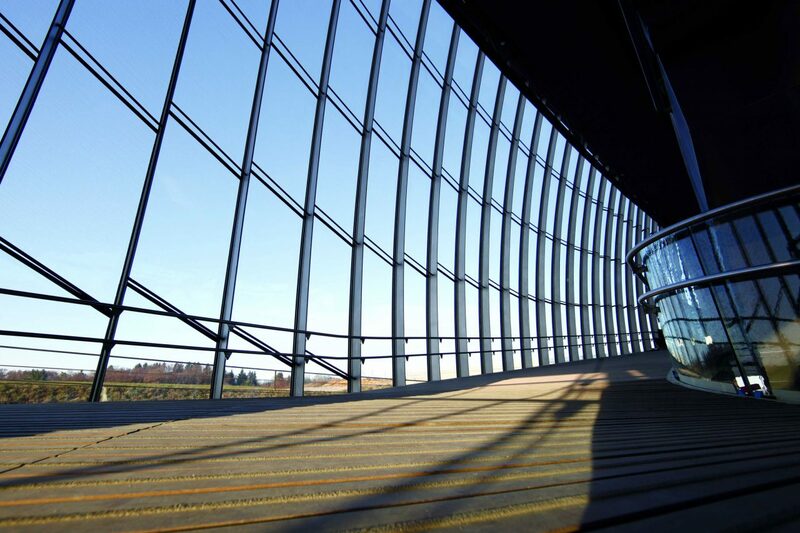 The hall was equipped with a spherically-curved glass facade having a stainless steel substructure using welded profiles. 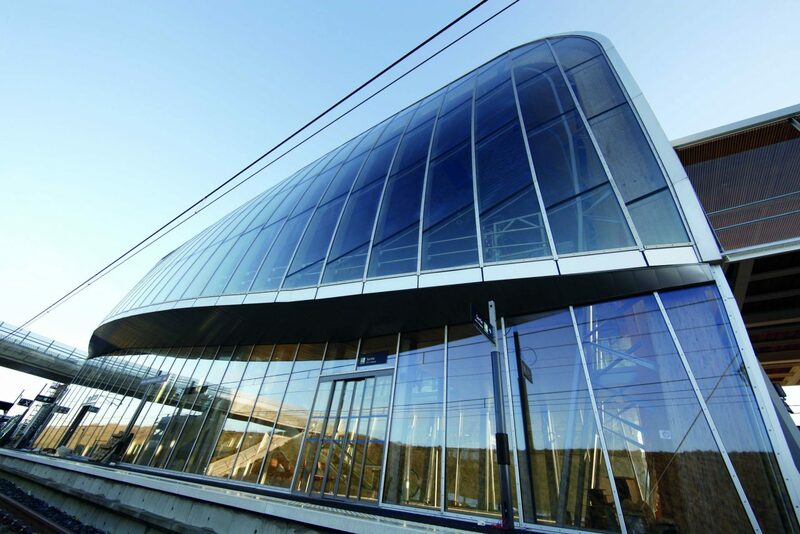 The TGV station is one of the first stations in France to have achieved high environmental quality (HEQ certification) in recognition of the technologies used in its development.